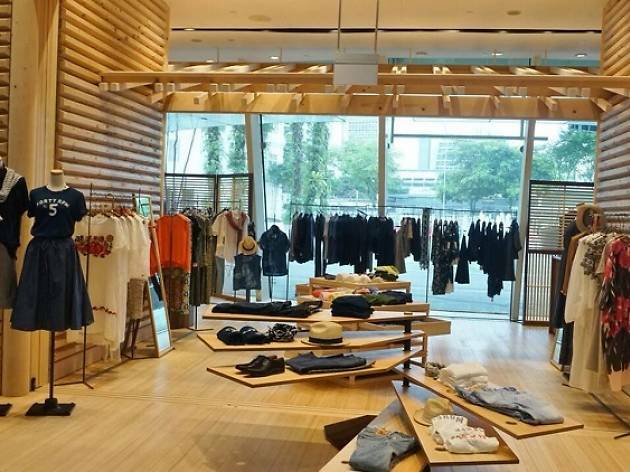 Japanese artisanal clothier 45R debuts here with its flagship store at Capitol Piazza, boasting an interior design that incorporates Japanese hinoki wood to resemble the country's traditional temples. Established in 1977, the casual luxury brand puts premium quality materials at the forefront, sourcing for them even before conceptualising designs to ensure customer comfort. It uses pre-war antique looms and traditional techniques such as hand-spinning cotton into yarn, hand-stitching and silkscreen printing for all products, making every piece of apparel unique. 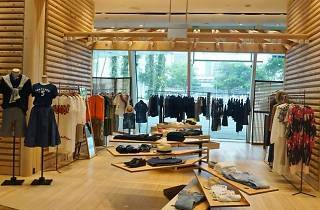 Signature products include: the Star T-shirts (from $110), lightweight tees made from Zimbawean yarn; painter denim ($430-$540), which boasts the title of 45R’s most lightweight denim; and Ai Indigo ($480-$1,120), a denim range that goes through hang-dyeing to get its distinctive shade of indigo. The shop also exclusively stocks artisanal Italian leather label Henry Cuir and its iconic line of bags, wallets and accessories all made with its signature hand-stitched, natural vegetable-tanned leather.